SDN held back by lack of understanding - IT priorities 2015: How will IT decision makers spend this year's budget? 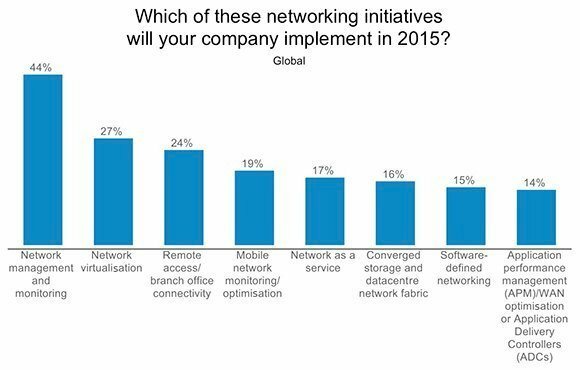 While software defined networking (SDN) is all the rage among networking suppliers, globally it figured low down on the list of networking priorities for 2015, mostly due to a lack of understanding over the capabilities of the technology – which promises to revolutionise the way networks are provisioned and run – and a scant number of customer references to fall back on. Just 15% of respondents said they were considering implementing SDN this year, and in the UK this fell to just 2%. The main spending priority for network managers in 2015 turned out to be around infrastructure monitoring and management, cited by 44% of respondents. The growth of employee-owned mobile devices, and the increasing volumes of data transiting the network day-to-day were clearly behind this trend.